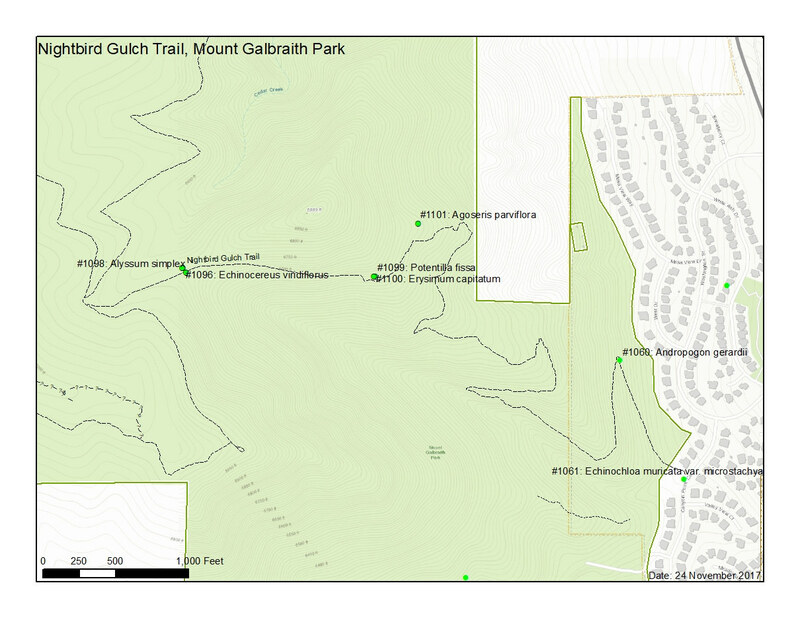 Photo: Map of Nightbird Gulch Trail. Eastern Mojave Vegetation Map of Nightbird Gulch Trail. Map created 24 November 2017. Nightbird Gulch Trail, Mount Galbraith Park, Jefferson County, Colorado: at Cyn Pt Cir. Other photos about Geography - Jefferson County, CO or Mount Galbraith Park.